UNRWA discovers Hamas terror tunnel underneath one of its schools in Gaza. 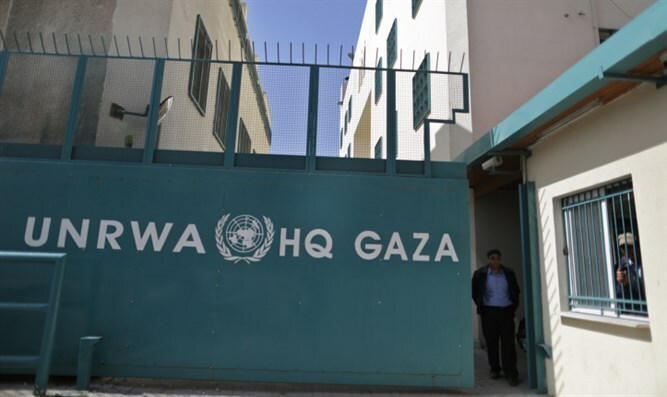 Officials from the United Nations Relief and Works Agency for Palestine Refugees in the Near East (UNRWA) discovered a Hamas terror tunnel underneath an UNRWA school recently, the organization reported on Sunday. The tunnel was found roughly two weeks ago, concealed by an UNRWA school in the Gaza Strip. A similar tunnel was discovered under another UNRWA facility earlier this year. “The presence of a tunnel underneath an UNRWA installation, which enjoys inviolability under international law, is unacceptable. It places children and agency staff at risk,” UNRWA said in a statement. The Hamas terror organization has used terror tunnels in the past to smuggle weapons and equipment into the Gaza Strip, as well as to move terrorists and explosive devices into position near Israeli towns and army positions in preparation for attacks. UNRWA officials say that the school where the terror tunnel was found was immediately closed after the discovery, and remained shuttered for the next 10 days. It was reopened this past Wednesday. In June, another Hamas terror tunnel was discovered underneath two other Gaza schools operated by UNRWA. Israeli Ambassador to the United Nations Danny Danon said the discovery was yet another example of Hamas using children as human shields to advance its efforts to harm Jews. “Yet another terror tunnel under an UNRWA school yard. This is what Hamas rule looks like and this is more proof of the double war-crime committed as terror tunnels are built to attack Israelis, while using the children of Gaza as human shields,” said Ambassador Danon. “We cannot accept a situation in which UNRWA schools are used as terror bases. This dangerous incident must not be ignored and strict oversight is needed to ensure that UN facilities are not used to protect terrorists,” the Ambassador continued.